The modern culture of outrage has created a landscape where contempt shoots down progress before even putting a seed in the ground. As many of my readers know, I am posting quotes, stories and speeches from John F Kennedy as a reminder of just how much words from our leaders impact our culture. Many would prefer to list his many shortcomings. He was a serial philanderer. He grew the war in Vietnam. He was so ill that medication allowed him to stand up and look healthy so that he could deliver the words that caused positive action throughout our country. I personally believe the greatest measurement of a leader rests in that leader’s ability to inspire all of us to grow in positive ways. Kennedy lived to give those words to us, to turn our country into better and better versions of itself, to strive for progress beyond our dark side, and to focus on the most important human values that live far above the political divide. Years ago, as he stepped forward to a podium to give these words, he looked the picture of health. Kennedy knew the power of words and perception. 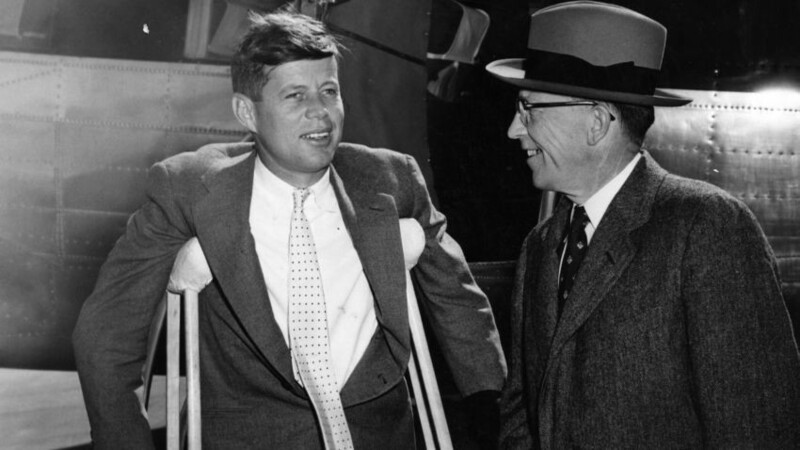 Roosevelt had demonstrated to him how the role of a leader isn’t hinged on being disabled, it is in orchestrating the power and the perception of the message. He stood at the podium looking charismatic and healthy. The picture demonstrates how he arrived.